The champions of the 30th Peñón de Ifach Trophy are already known. After 2:00 am on Sunday, the last boat arrived at the Real Club Náutico Calpe. Malta Blue arrived at 02:10:13 hours. Before gradually arrived the other boats, being the first of them the Plis Play arriving at the yacht club of Calp at 17:33:27 hours. After obtaining the compensated timing there were not many surprises. 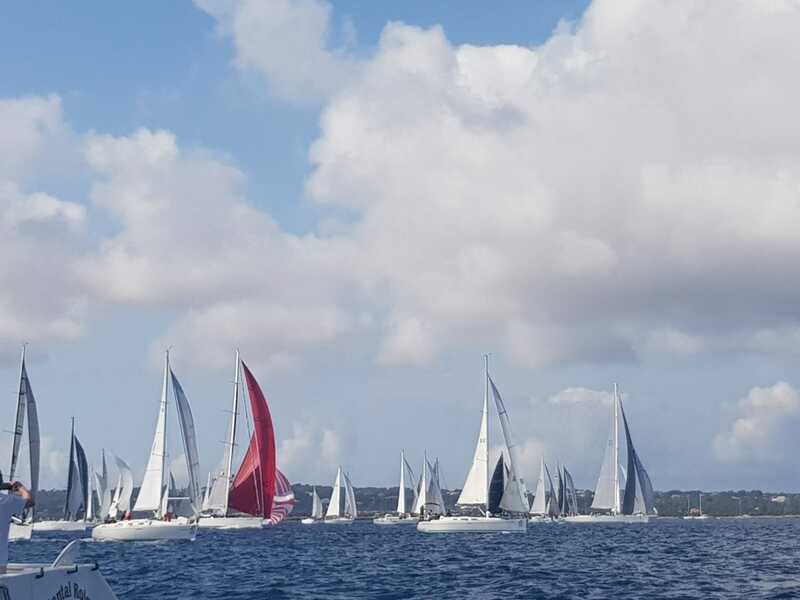 One of the 'little ones' of the ORC A group, Cafés Granell (RCN Valencia) of Agustín Granell with a First 40.7 won the fourth place, enough to take the victory in this group, and also with the Salvador Mir Trophy that brings together all the categories. The local Tagomago 3 (Dehler 42) with Juan Carlos Albelda, was only one point behind the winner. After obtaining in this second event the second position, as well as the third one in the first race, the Albelda boys obtained the second position with 5 points. The podium was completed with Kim of the London SW5 0AZ with a First 40.7 from Yann Lythgoe. With regard to the ORC B category, the winner in this second event was Aurora with Javier Lledó from Calp, finishing the course with a total of 10:32:11 hours. In the general table the local boat had to settle for the second position, behind Pellieter V (RCR Alicante) who obtained a third position and proclaimed winner thanks to the 4 points obtained (1-3). The third position was for the Jambo Mar Sin Plástico of the Dénia's yacht club, with a total of 7 points (5-2). The same score as the Tanit IV-Medilevel (RCR Alicante), fourth position, and the Aleph III (CN La Vila), fifth position. Despelote (CN Santa Pola) with Jorge García and Dufour 34 has been the only boat that has obtained two partial victories. It scored in the event between Calp and Formentera and then in the other way round. Around 9.30 pm the boat from Santa Pola arrived to Calp, with a timing of 11:27:47 hours to complete the 64 miles of route. The podium in the general ORC C includes also the local Calama with Pau Marín adding 4 points and Blade, also from the yacht club of Calp, with Barry John McCrae obtaining 7 points. As a final flourish, on Saturday 9th the Real Club Náutico Calpe will close this edition of the Peñón de Ifach Trophy with a party and trophy presentation, including the Salvador Mir Trophy and the ORC Regional Cruise Champion title. The event will take place in the afternoon and evening and count on the presence of different personalities.